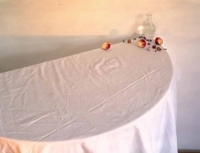 Wave Hill's spring exhibition, (Not So) Still Life, brings together 14 contemporary artists whose multimedia work encourages a rethinking of still life as a genre. 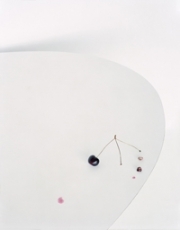 Laura Letinsky – a University of Manitoba alumna and University of Chicago professor – has returned to her alma mater to display some of her still life photography in an exhibition called Laura Letinksy: Still Life Photographs, 1997-2012 at the School of Art Gallery. In monumental and gorgeously realized photographs, Laura Letinsky and Tanya Marcuse penetrate the very crux of the meaning of desire: to long for, to crave, to miss. They thus place themselves in an historical trajectory of the still life genre, as well as extend the genre's parameters. 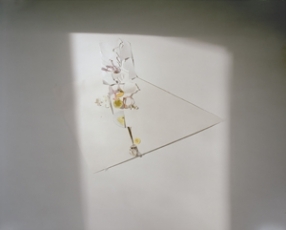 Juxtaposing tradition with innovation, this exhibition presents painting, photography, and video by artists from Israel, Holland, Canada, and the United States who build on, respond to, and transform the time-honored tradition of still life through the lens of the 21st century. Work by Laura Letinsky will be included in the group exhibition, Convergences: Selected Photographs from the Permanent Collection at the Getty Museum, on view July 8 - October 19, 2014, featuring Letinsky, Vera Lutter, Loretta Lux, Cindy Sherman, and James Welling, among others. 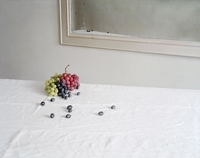 Laura Letinsky: Ill Form & Void Full is on view currently at The Photographers' Gallery in London through April 7, 2013. 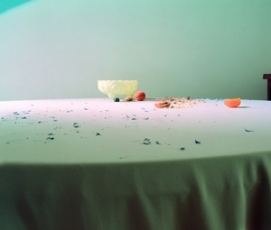 An exhibition of the artist's work is also on view in Laura Letinsky: Still Life Photographs 1997-2012 at the Denver Art Museum through March 24, 2013. 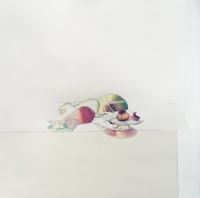 A retrospective of Laura Letinsky's still life photographs from the past 15 years will be on display at the Denver Art Museum from October 28, 2012 – March 24, 2013. The exhibition traces Letinsky's photographs as they have evolved from studies in melancholy and absence to explorations of perception, color and space. 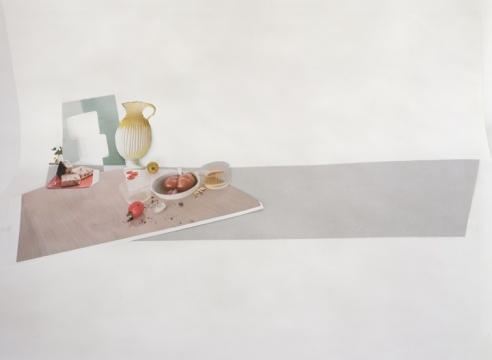 The artist's new collage based still-life series, Ill Form & Void Full, is currently on display at Yancey Richardson Gallery, through October 20, 2012. 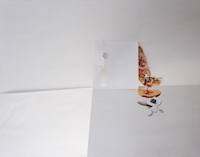 A solo exhibition of Laura Letinsky's work will be exhibited at the Osthaus Museum in Hagen, Germany from August 8 - September 30, 2012. Solo exhibitions of Letinsky's new series Ill Form & Void Full will be on display this fall at Yancey Richardson Gallery and Valerie Carberry Gallery in Chicago. 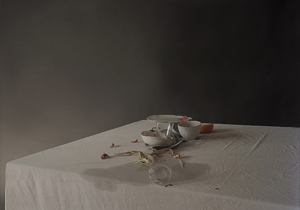 Additionally, a solo exhibition of Letinsky's work will open at the Denver Art Museum in October 2012. A solo exhibition featuring Laura Letinsky's newest series, Ill Form & Void Full, will open at the Museum of Contemporary Art, Chicago on February 7. The exhibition, entitled Chicago Works: Laura Letinsky, will be on display until April 17. 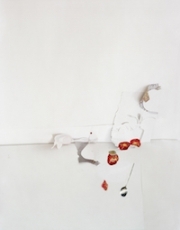 Laura Letinsky's solo exhibition at the North Dakota Museum of Art opened June 21 and runs through September 11. A major mid-career survey, the exhibition features over thirty photographs from the artist's work from the last fifteen years. 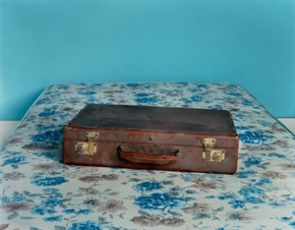 Gallery artists Mitch Epstein, David Hilliard, Kenneth Josephson, Laura Letinsky and Hellen van Meene are all included in Conversations: Photography from the Bank of America Collection, a group exhibition at the Museum of Fine Art in Boston, on display through June 19, 2011. The exhibition also features works by Eugène Atget, Alfred Stieglitz, Paul Strand, László Moholy-Nagy, Man Ray, Robert Frank, Diane Arbus, Irving Penn, Cindy Sherman, Bernd and Hilla Becher, Vik Muniz, and Richard Misrach, among others. 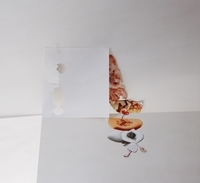 Gallery artists Sharon Core and Laura Letinsky will exhibit their work and give public lectures as part of Object Lesson, a still-life show curated by New Yorker critic Vince Aletti, one of several shows that make up this year's New York Photo Festival (May 12 - 16). Letinsky will be speaking on Thursday, May 13 at 2pm at St. Ann's Warehouse, 38 Water Street, between Main Street and Dock Street, Brooklyn, NY 11201. Core will be speaking on Saturday, May 15 at 2pm, also at St. Ann's Warehouse.